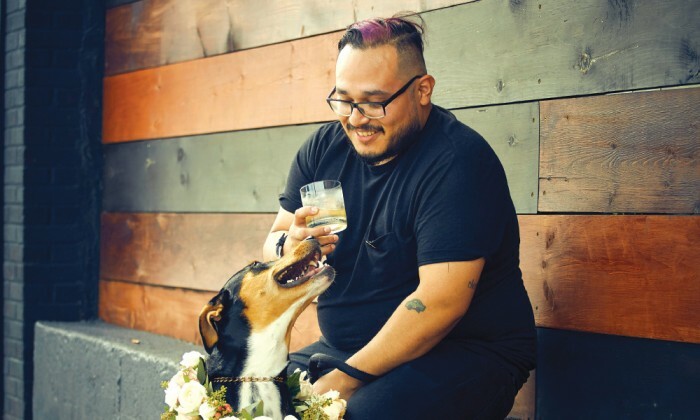 The martini represents a pivotal moment in Jonathan Gonzalez’s bartending career: it’s the first drink he made. 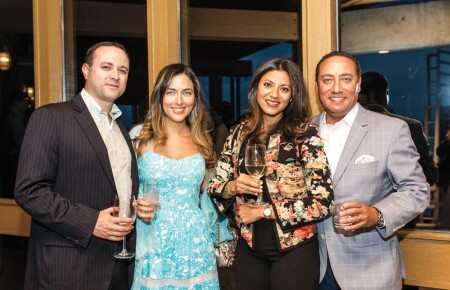 As a teen, Gonzalez was tasked with making the timeless cocktail for his father. He didn’t know the ingredients. Instead, he followed a recipe etched on the side of a kitschy household cocktail shaker. He dumped some vodka, vermouth and ice into the vessel, shook until it was opaque, dropped in a pimento-stuffed olive and proudly served it. The quest for creation was born. Your father is a chef and you worked as a busboy and waiter before turning to bartending. What changed your course? I was asked to bartend on a busy night and right away the theatricality of it all caught me. I wanted to know everything and, this was around 2006, the whole molecular gastronomy movement was hot. So I bought all these modifiers and gelling agents and leapt into experimentation; I wanted to be the next Ferran Adrià. The science of it all resonated deeply with me. It was about finding a balance through practice, patience, creativity and science. How does this inform South Shore Dive’s current cocktail program? It’s simplicity at its best. The first drink menu I built here was ambitious. I was fresh from a great place in the West Village called The Lion so I put together something similar. But that didn’t do well. The drinks were great, but they just weren’t what our patrons were looking for. From there, I put together something a little more clever, familiar and most importantly, approachable. I embraced the idea of us having a neighborhood-dive feel and took cues from one of my favorite bars, Holiday Cocktail Lounge on the Lower East Side. I wanted to build that same vibe: come in for a beer and a shot and stick around for a well-executed cocktail. What did it take to build that? I always start by trying and picking from recent experiences. 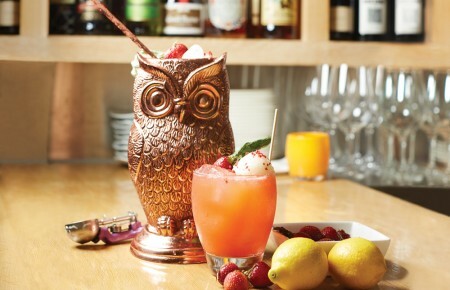 Like on our summer menu, we had a cocktail called Expecto Patronum! It was a riff on a Pimm’s Cup that included a cucumber soda I came across while doing R&D in Seattle. Then there are the personal elements, like my series of drinks named after my rescue dog Lola. I change that recipe every season to keep things fresh. Holy Lola, a local lavender-laced libation built with a margarita in mind, was our best-selling cocktail all summer. 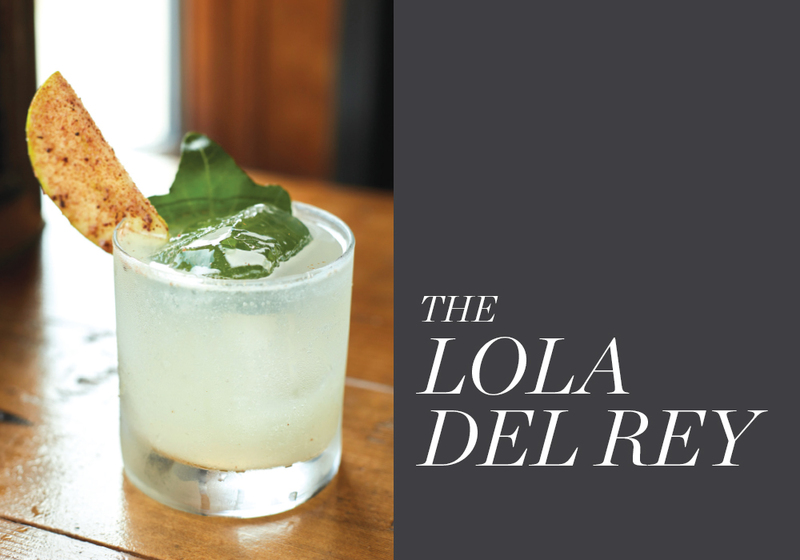 Lola Del Rey: Suerte Tequila, pear-vanilla cordial, lime and clove salt, all garnished with vacuum-poached pears. The goal was to encapsulate in one drink all the things I think about when the leaves start changing. Del Rey combines the scent of cloves and cinnamon (the classic fall baking spices), with the warmth of tequila, as well as its subtle acidity and sweetness. It’s the perfect drink to get over the end of summer. Combine syrup, lime, nectar, tequila and ice in a shaker. Shake vigorously for 10 seconds. Using a lime wedge, half-rim a double old-fashioned glass with spiced salt. Add fresh ice and strain into the glass. Garnish with sliced vacuum-poached pears. Simmer together over low heat until dissolved.